Smart Meters are being installed in homes around the world as part of a global roll-out of smart power grids. We have a number of concerns with regard smart meters, which can be used to measure electricity, gas and water consumption – although this site is focused on electricity meters. Our main issue is with privacy, and believe that if privacy laws can be tightened up, so your personal information cannot be used by utility providers in any form, then their investment in smart meters will have to stop. If utility providers can’t use or sell your personal information, the business case for smart meters is severely undermined. 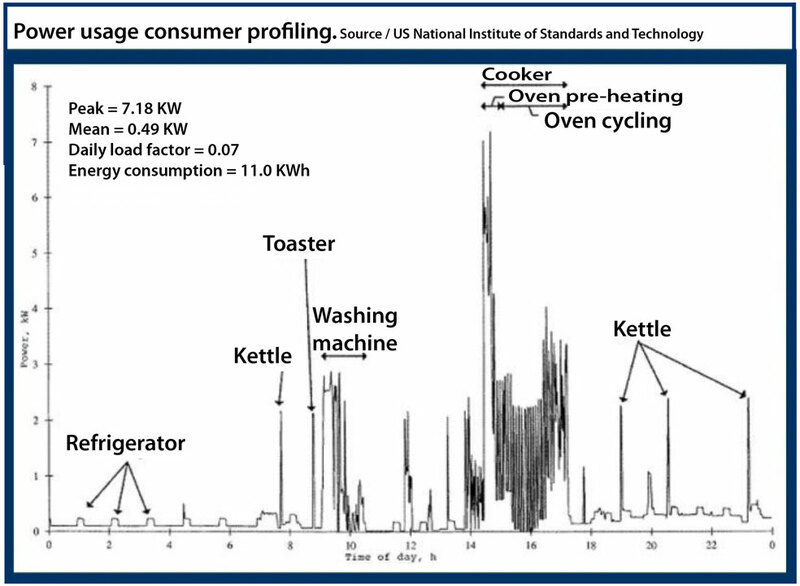 Smart electricity meters are basically surveillance devices, wiretapping without a warrant. These meters send data of your power usage back to the utility company many times during the day. We don’t know for sure how often data is sent out over the wireless network, it could be once a minute, twice an hour or 10 times a day. This data helps the power company build a detailed profile of you and your home life. By studying the peaks, spikes and troughs of your daily power usage, utility firms can determine what time you get up, when you are out of the house, on holiday, what time you go to bed and if there are patterns of unusual power usage. We believe power meters should have one job, to measure the amount of power you use each month (the billing period). All the power firm needs, and has ever needed until now, is the set numbers that show the amount of power you have used. We believe that people should have the choice as to what technology is attached to their home. An example of the information power firms can obtain about you via a smart meter attached to your property. Some people, perhaps those who are susceptible to wireless technology – such as wifi modems, baby monitors, mobile phones and cordless phones etc – say they are being made ill by wireless smart meters on their and their neighbours’ properties. The vast majority of scientists and academics who have studied the health impacts of wireless technology and smart meters say there is nothing to fear. But some believe there is a health issue. We believe that all people are different. For example, medication prescribed by your doctor may make you feel better, or it might not. If the medication doesn’t work as hoped, the doctor will prescribe something else. What works for one patient may not work for another. Therefore, we believe some people could feel unwell due to wireless smart meters – but perhaps not everyone has symptoms. Anecdotal stories of people becoming ill or fatigued following the installation of a smart meter are stacking up around the world. We feel there is a case to answer and that more independent research needs to be funded and undertaken by people who do not have any conflict of interest. We also feel the installation of smart meters must be stopped until they are proven to be safe. Once smart meters are established the next step will be the sale of smart appliances in the retail stores. Each smart appliance will have a computer chip in it that ‘talks’ to your smart meter. We predict that within 5 to 10 years, unless something changes, every electrical item you have will feature a chip. From your toothbrush to your washing machine, drier, toaster, microwave, TV, alarm clock, radio and cooker etc. With smart appliances in your home, the power firm will be able to remotely turn off items it doesn’t want you to use. For example, you may only be able to use your washing machine between 7am and 3pm and your dishwasher between 11pm and 6am. In short, your freedom to do what you want, when you want, in your own home will be curtailed and monitored by the power firm’s computers. There is no evidence that any consumer has saved money as a result of the information they may get from a smart meter (people rarely change their habits unless forced to so). With smart meters and smart appliances working together, sending data back to your utility provider, your private life will be an open book. Power firms will know what make and model you have of any given appliance. They will know when it is used and for how long. They will know when you made a slice of toast, turned on the kettle, turned your TV off or vacuumed the carpet. This data is gold for companies wanting to sell you stuff. Theoretically, the power firms could let manufacturers and retailers know that you have a Samsung microwave, a Sanyo HiFi and a Panasonic TV. Manufacturers really want to know what you own and how often you use it. But it could get even worse than this. With RFID chips in food packaging, your fridge could recognise that you just put a McCain pizza in the freezer. Not only that, it will know when it is removed. If the smart meter recognises that your oven was turned on moments later, the power firm will assume you are having pizza for dinner. Expect a discount voucher for a McCain’s pizza to be sent to your smartphone. A lot of analogue power meters are coming to the end of their useful life as the calibration certificate on many meters will expire in April 2015. Power firms are using this as an excuse to install smart meters. But modern versions of older style analogue meters are still being made. Brand new older style analogue meters cost just $40, whereas smart meters cost $450 (we wonder if the shareholders of these firms know how their profits are being spent). Assuming there are 2 million meters being replaced in New Zealand, power firms are collectively spending $900 million when they could spend $80 million. We don’t understand the business case for such expense. Analogue meters are a proven and perfectly reliable and safe technology having been in use since 1872 – that’s right 1872! Plenty of people are simply refusing to accept a smart meter on their property. They just say ‘no’ and stick to it – refusing to debate the issue with their utility provider or engage in any compromise. They are also telling their neighbours and friends not to accept them. People like you are placing stickers and notices on their existing meters saying ‘No Smart Meters’. People are writing to their utility providers refusing them permission to install a smart meter. They are writing to the installation company to tell them they are refusing a smart meter. Some power firms in New Zealand (and elsewhere) have been caught lying to their customers, claiming it is the law that a smart meter be installed. There is no law on smart meter installation in New Zealand. An analogue power meter is an option for you, and plenty of people have successfully refused a smart meter and had a brand new analogue meter installed. The meters do belong to your power provider, they have the right to ensure you have a valid meter to bill you correctly. But we do not believe they have the right to install a smart meter against your expressed wishes.